If you want to record high-quality music in a studio, then you need to have the right pair of headphones. In fact, you need a set of the best studio headphones. With hundreds of products to choose from, you’re probably wondering if some products are better for the studio than others. To hear yourself, you need to wear headphones in the studio, and there are two major types of products to choose from. Depending on the application, you’ll need to wear open-back or closed-back headphones. When shopping for studio headphones, two important considerations are bleed and isolation. Each major design significantly affects the product’s ability to isolate sound, and they’re based on the shape of the earcups. We look at these features in a bit more details further down, but first we will take a look at the top ten best studio headphones on the market in 2019. Here we have the new model of the Sennheiser HD 280 Pro headphones, and since these are dynamic, closed-ear headphones, they’re designed for use in the studio. They feature a comfortable, lightweight design, which is important for extended use, and the power cord has a length of almost 10 feet. The Sennheiser HD 280 Pro headphones deliver natural, warm sound reproduction and extended frequency response. They have an around-the-ear design, and the earcups are made with thick padding. With such a large design, the earcups can block up to 32 decibels of outside noise. For maximum comfort, the headband features comfortable padding, and if the need arises, the audio cord can be replaced easily. This product is designed for high-quality sound reproduction, and the closed design makes it a popular choice for studio recording. 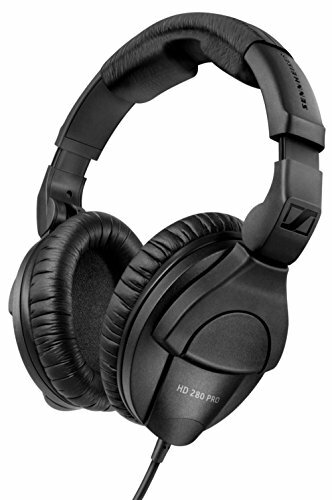 The Sennheiser HD 280 Pro headphones offer optimal impedance, universal compatibility and excellent noise attenuation. These are a great pair of the best studio headphones. The Direct Sound EX-29 Dynamic Closed Headphones come with a 10-foot extension cable, and the back drivers are completely enclosed. They come with a gold-plated adapter, and for optimal comfort, they have IncrediFlex padding. The headband is also made with extra padding, which improves comfort during extended use. For easy storage, these headphones are foldable, and since they use natural passive isolation, they don’t use batteries to block out background noise. 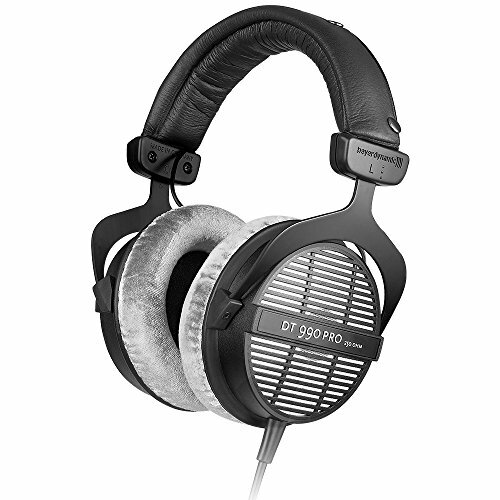 The Direct Sound EX-29 headphones are compatible with a 3.5mm stereo jack, and they have an impedance of 32 OHMS. The frequency response is 20Hz to 20kHz, and the 40mm drivers pump out a huge amount of sound. If you want the best performance, then you need headphones that deliver accurate sound reproduction. The Direct Sound EX-29 dynamic headphones block up to 29 decibels of sound and keep outside noise from entering the earcups. The Sony MDR7506 professional headphones use neodymium magnets, and with 40mm drivers, they’re able to produce detailed, powerful sound. 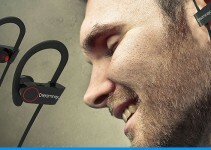 The closed-ear design blocks out external noises and improves comfort for your ears. 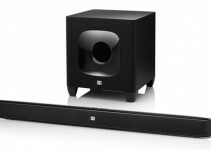 They also come with a 9.8-foot power cord, which is a length that is ideal for studio recording. For easier storage, these headphones are foldable, and they fit nicely into the included case. 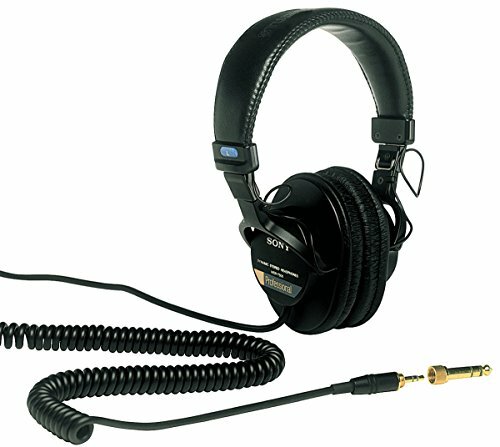 They offer a frequency response of 10Hz to 20kHz. The neodymium magnets are important for handling powerful sound, and the 40mm drivers pump sound directly into your ears. The Sony MDR7506 professional headphones provide clear highs and extended lows. They’re ideal for sound monitoring within a studio, and they’re a top choice for maximum isolation and comfort. The large earcups are great at blocking external noise, but they’re also comfortable enough to wear for hours. If you’re not afraid to spend some money, consider the Focal Spirit Professional headphones. 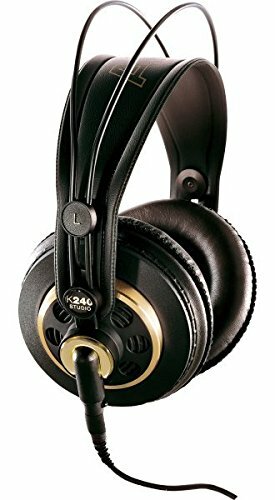 These headphones are great for studio recording, and with the help of acoustic coupling, they deliver excellent sound reproduction while blocking out background noise. The large, high-quality earcups are comfortable, durable and efficient, and if you’re looking for great isolation, you won’t find too many other products that can outperform the Focal Spirit Professional headphones. Since they’re designed with the best materials, these headphones are commonly used by producers, sound engineers and musicians. The transducers allow you to mix and record with great precision, and the overall design of the product is great. 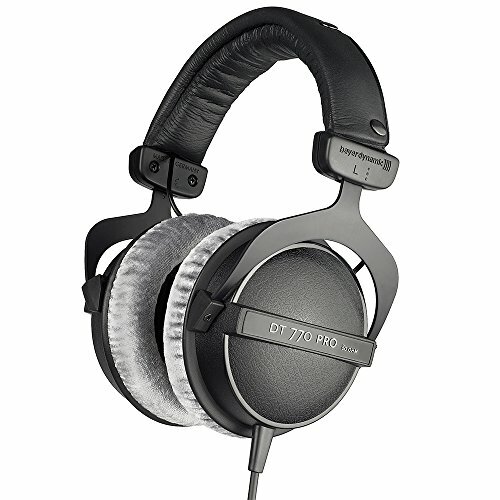 The Beyerdynamic DT770 Pro headphones feature a closed design, which is great for the studio. They feature a diffuse-field studio design, and the bass reflex technology delivers an improved bass response. To ensure quality, this product is made in Germany, and it’s made from parts that are easily replaced. The soft, adjustable headband provides a comfortable fit and allows the headphones to be worn for long recording sessions. The Beyerdynamic DT770 Pro headphones can be used for gaming, critical listening, mixing and tracking, and since they have Velour earpads, they offer some of the best comfort available. The replaceable parts allow for easy servicing, and the overall design makes these a set of the best studio headphones for recording engineers, producers and artists. The Beyerdynamic DT770 Pro headphones have been used for over 30 years, and you can select the ideal impedance for your needs. The Shure SRH1540 closed-back headphones use 40mm neodymium drivers to send high-quality sound into your ears, and they offer superior acoustic performance. The powerful sound drivers deliver an expansive soundstage, which consist of warm bass and clear highs. The closed-back design completely covers your ears and blocks out unwanted noise. Unlike some alternative products, the Shure SRH1540 headphones feature a circular design, so the earcups rest naturally on your ears. These studio headphones are made of aircraft-grade aluminum, and with a lightweight design, they don’t feel too heavy when worn. For additional durability, they have a cap made from carbon fiber, and the yoke is made of aluminum. The driver frame is made of steel, and a vented center pole helps to improve linearity. The vented center pole is also useful for eliminating internal resonance, which provides consistent performance at any listening level. When recording in the studio, closed-back headphones aren’t always necessary, and if you’re looking for a top pair of open headphones, consider the AKG Acoustics K701 Reference Class Headphones. They feature a patented Varimotion two-layer diaphragm, and with flat-wire voice coil technology, they offer reliable sound performance. Most other manufacturers don’t use flat-wire technology, which is why they don’t offer the same sound quality. For audio producers, the AKG Acoustics K701 Reference Class headphones deliver excellent performance, and although they’re useful for analytical listening, they can be just as enjoyable for gaming. 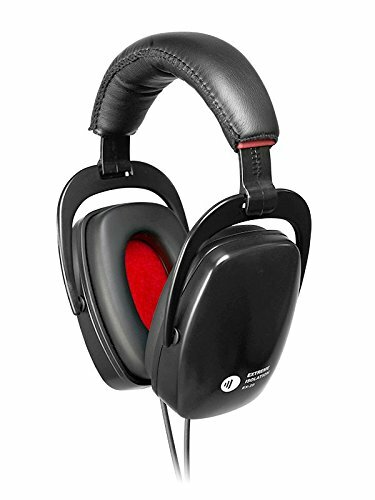 Overall, the earcups are very comfortable, and if you’re looking for a pair of high-quality reference headphones, this product is worth considering. Here we have another top pair of the best studio headphones, and with an open design, they’re ideal for sound monitoring and studio applications. 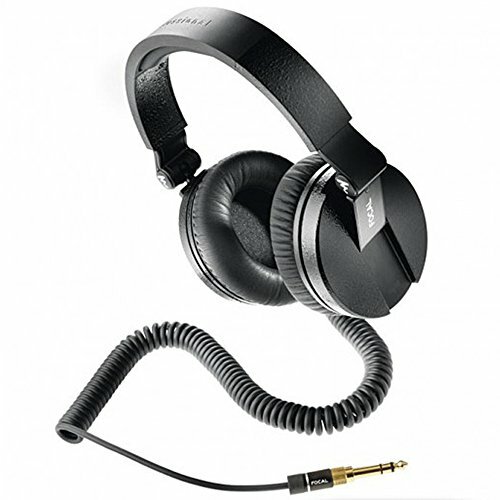 They’re equipped with 250 OHM drivers and use a single-sided coiled cable. The built-in diaphragm is very light and delivers superior impulse performance. If you have your own studio and need excellent sound reproduction, then the Beyerdynamic DT-990-Pro-250 headphones are worth considering. For optimal comfort, the rugged headband is adjustable, and it has enough padding for long hours of listening. These open diffuse-field studio headphones are made with Velour earpads, which provide unmatched comfort, and they’re made in Germany. Although they’re ideal for use in a studio, they can be just as enjoyable for gaming and casual listening. The open design doesn’t isolate sound and allows for analytical listening. 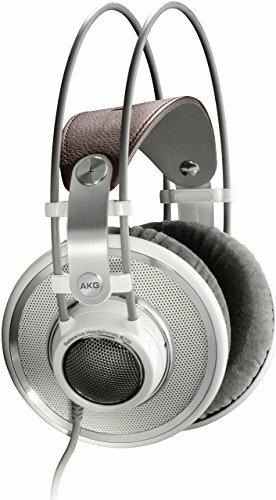 The AKG K 240 best studio headphones feature a semi-open design, and since they provide greater sound accuracy than closed headphones, they’re ideal for analytical listening. The AKG K 240 studio headphones offer lower impedance, and when used with a portable studio, they deliver significantly higher volume. 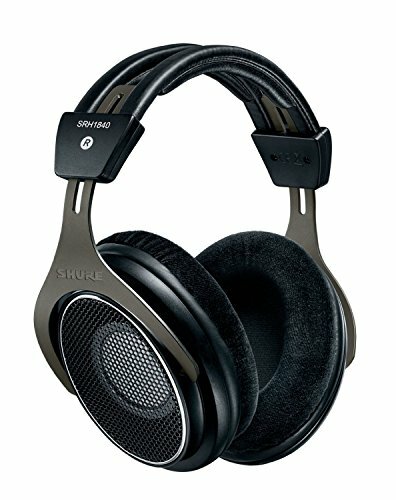 These studio headphones are compatible all types of studio gear and can work well for a home studio. They’re made with a dynamic transducer, and with comfortable earcups, they can be worn for hours at a time. The frequency range is between 15Hz and 25,000 Hz, and for the best fit, the headband automatically adjusts to the shape of your head. These headphones are an updated version of a classic design, and the reason why they offer such incredible sound accuracy is because they’re made with XXL transducers. The vented enclosures allow sound to escape and provide optimal sound accuracy. A rugged design allows you to wear the AKG K 240 headphones several different ways, and this product is particularly useful for portable audio. If you have more money to spend than the average person, you might consider the Shure SRH1840 Professional headphones. They’re designed with 40mm neodymium drivers and deliver unparalleled acoustic performance. Since they’re able to clearly and accurately reproduce all tones, they’re ideal for use in a home studio. The open design allows sound to escape through vents, which prevents the buildup of pressure and unwanted sound distortion. The Shure SRH1840 headphones offer a great depth of field, wide stereo image and natural sound. The important components are made of stainless steel and aircraft-grade aluminum, and a vented center pole eliminates the issue of internal resonance. If you’re looking for studio headphones that provide consistent performance and can be worn for several hours, the Shure SRH1840 Professional headphones might be worth considering. The frame is adjustable, ergonomic and durable, and the padded headband eliminates painful pressure points. These headphones are made with precision engineering and premium materials, and although they’re perfect the studio, they’re also great for casual listening and gaming. A pair of closed headphones are insulated and sealed, and they’re very good at preventing sound bleed. The only downside of a closed design is the buildup of pressure within the earcups, which can negatively affect low frequencies. 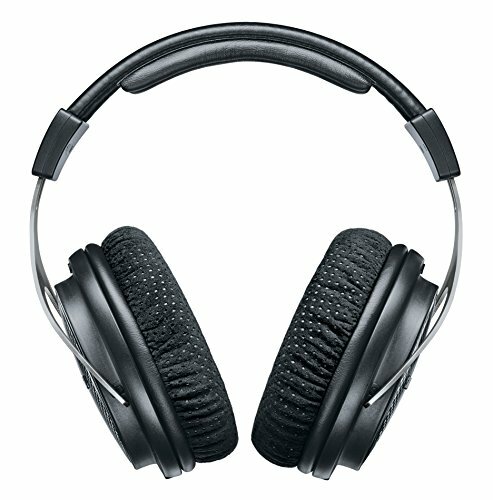 When compared to open headphones, a closed design isn’t nearly as accurate if used for critical listening, but they’re much better at isolating sound. Open headphones allow air to pass through them, which doesn’t isolate you from the outside world. The listening experience that you’d get from an open design makes you feel like you’re a part of the studio. In other words, it sounds like two speakers are placed right in front of you. Most professionals agree that open headphones deliver the greatest sound accuracy, but they aren’t very good at keeping sound out. When choosing the best studio headphones for you, you need to take into account whether you are willing to sacrifice accuracy for silent background noise, or if you can put up with the background noise for greater sound accuracy. Acoustic isolation describes a product’s ability to block external sounds. Depending on the design, some pairs of headphones can reduce external noise by up to 30 decibels, and when you’re recording vocals, acoustic isolation is very important. Closed headphones offer the best sound isolation, but they don’t use active noise cancellation. The closed design also prevents bleed, which is sound that leaks out of the earcups and into the environment. The one place where sound bleed creates big problems is the studio, and it’s especially problematic when you’re trying to record vocals. If a person is singing into a microphone and not wearing closed studio headphones, the sound from the headphones can bleed into the microphone and cause problems. 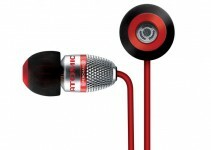 When shopping for the best studio headphones, you should know that bigger earcups doesn’t always equate to better sound. Important features to consider are comfort, sound quality, frequency response and connection type. Although it’s kind of vague, the price of the headphones plays a major role in determining the sound quality that they can provide.